The most compact, yet powerful garage vacuum cleaner available. 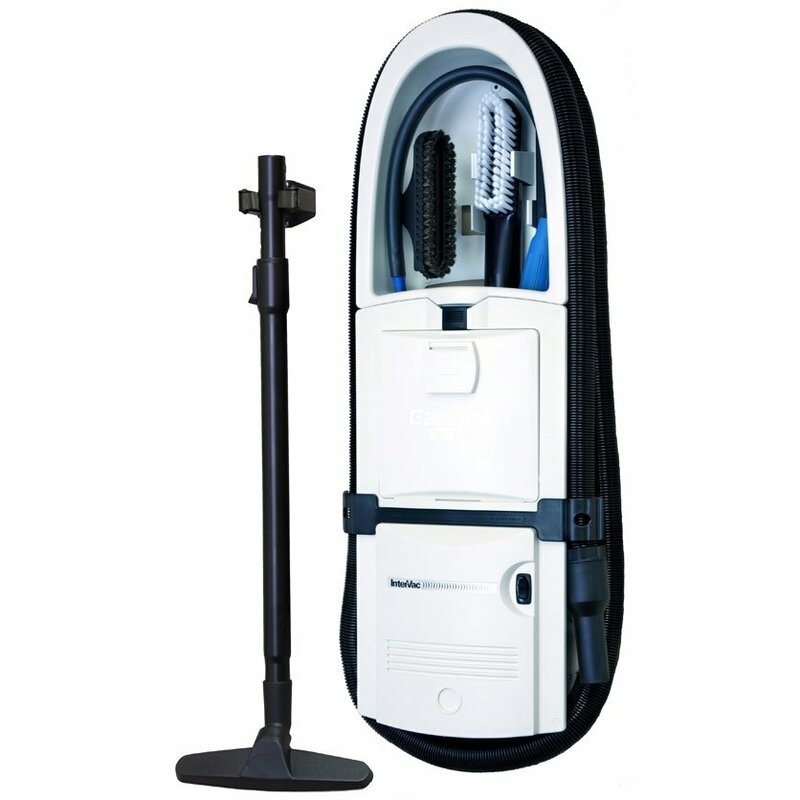 HEPA type filtration system, not available in any other Garage vacuum cleaner. Filters to 99.8% of dust and allergens down to .3 microns. Made of high quality polycarbonate/ABS and features a sleek new design. Highest quality available – six year manufacturer’s warranty, available in red, white or black. Stretch hose is quick to connect and 40′ long, yet shrinks down to just 8′ for easy storage. Dust bag holds 8 pounds or 1 gallon, depending on the type of debris. 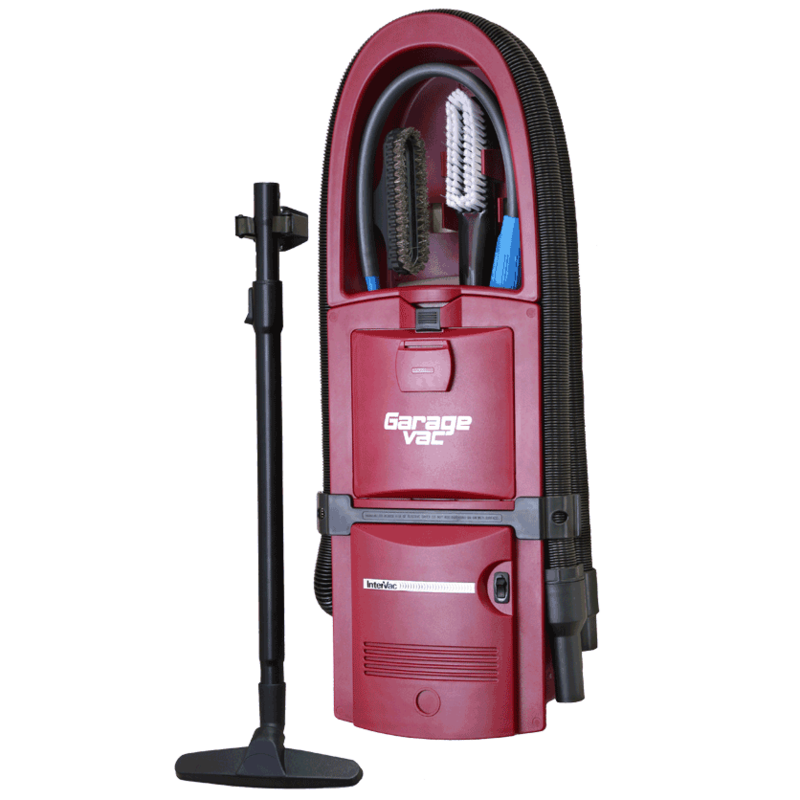 Patented vacuum chamber allows the bag to fill completely without losing suction. 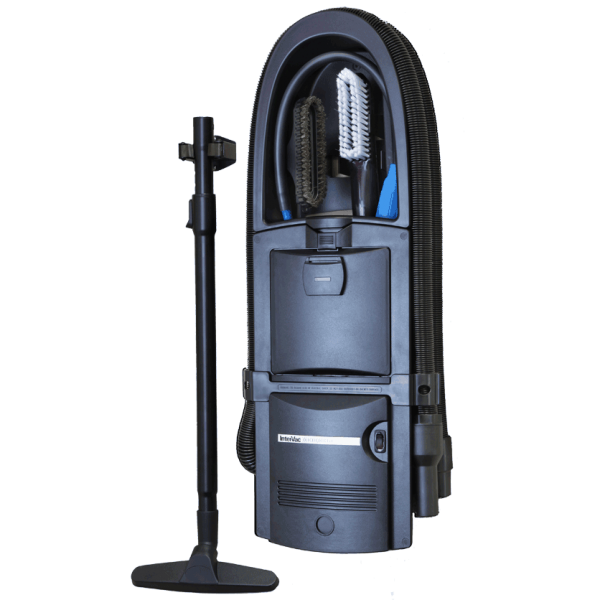 Powerful 12 amp, 113 cfm twin fan 5 Peak HP turbo motor and 100″ of water lift, compares with any top quality upright or canister vacuum. Easy installation, requires only four screws to securely mount to garage wall. Flush mount model also available, mounts inside a 2×4 stud wall and needs to be hard wired. Front Panel: 9 9/16″ wide x 29 9/16″ high x 4″ deep. 5′ long, 2 prong, non-grounded cord attached with surface mount model. Surface mount model can be removed from wall and used as a portable vacuum. Also great for use in other places such as hobby shops, utility rooms, RVs, condominiums and boats. Integrated tool caddy provides storage for all tools and hose. Accessories included: 40′ stretch hose, bare floor tool, upholstery brush, crevice tool, dashboard brush, telescoping wand and flexible wand with detachable brush. Package of 5 HEPA style replacement dust bags with filter. About one gallon capacity makes this bag last for months.